My family has been trying to find ways to spend less and get more for our money for years now. 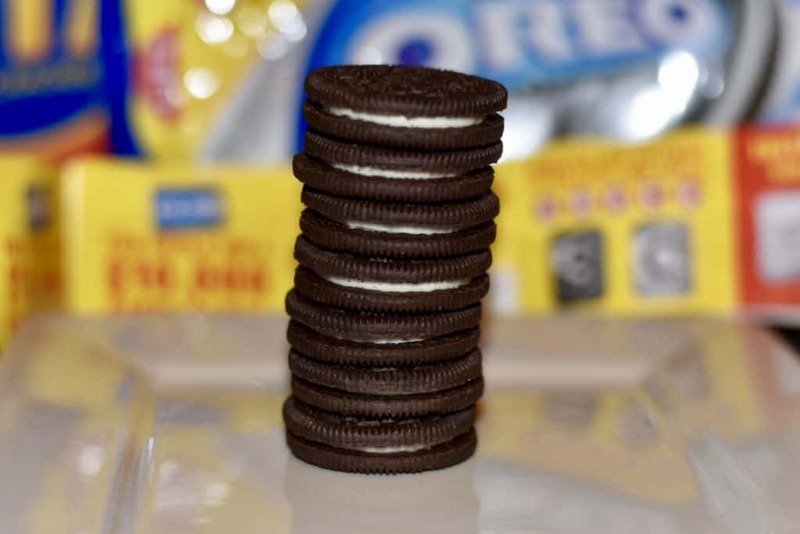 We love purchasing our snack foods at Walmart because of several different reasons! Today I wanted to share with all of you the benefits of buying family size snacks at Walmart. Plus, just for sharing this message you have an opportunity to enter our giveaway below for a chance to WIN some high value gift cards! We love shopping at Walmart because of the low prices. We find that some other stores’ sale prices are higher than Walmart’s everyday low prices. I often do price checks and search ads to be a smart shopper. When I don’t have time to do that, buying at Walmart makes the most sense. Both of my kids have to bring snacks to school, plus they take their own lunch. Having a variety of snacks for school, lunch, and after school is always good. Their tummies are always growling when I pick them up after 3pm. I often leave packaged snacks in the car so that their belly is filled before starting homework. Walmart is also convenient. I personally like shopping online and picking it up at their pickup lines. 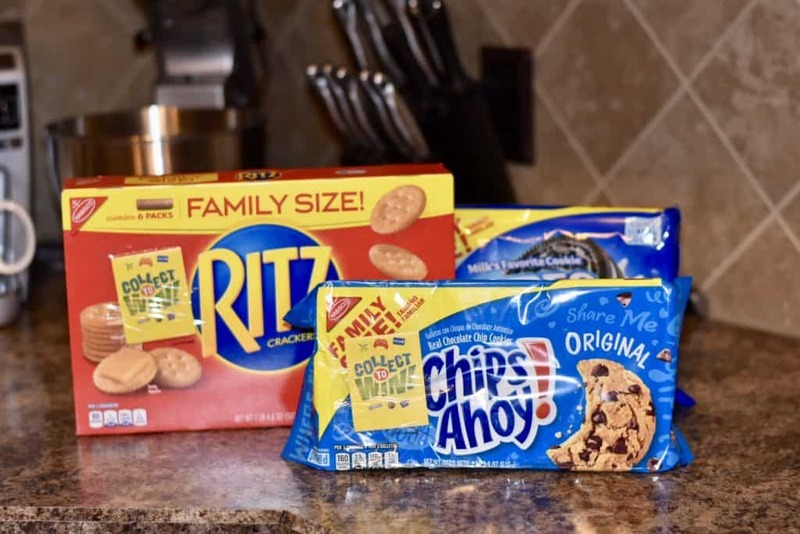 When you go to Walmart next check out the Family Size RITZ, Family Size OREO, and Family Size CHIPS Ahoy! They are participating in the Collect to Win game. They are on specially marked packages. Collect to Win game is fun and easy. 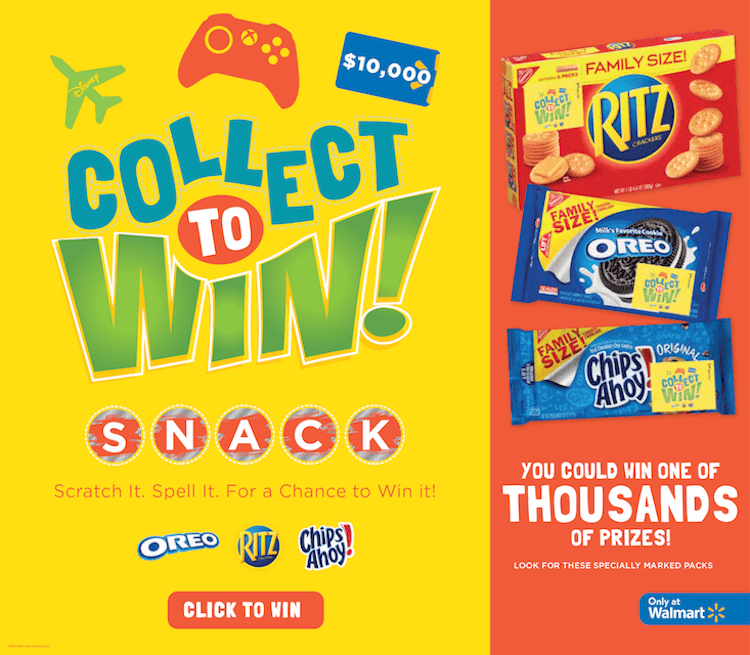 You collect letters to spell SNACK for a chance to win a $10,000 Walmart gift Card! 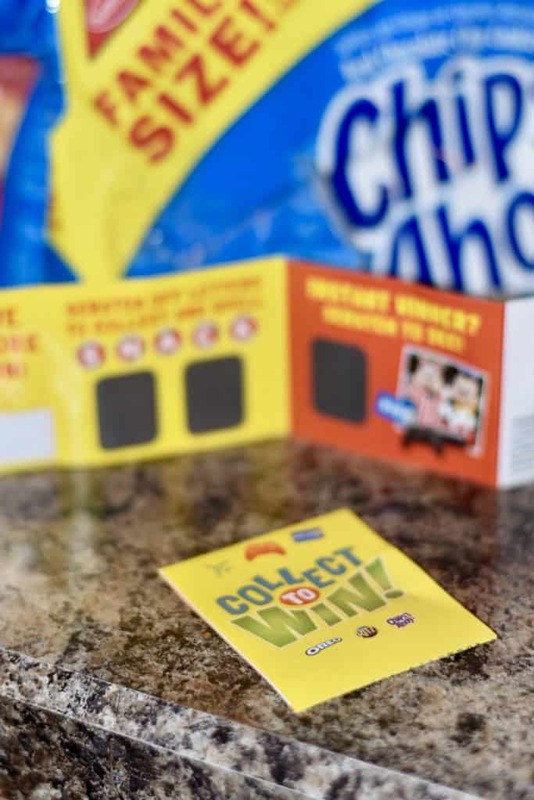 You could also be an instant winner! Play for a chance to instantly win a trip to Orlando, FL, an Xbox One Console, Walmart gift cards, or OREO chocolate candy bars!